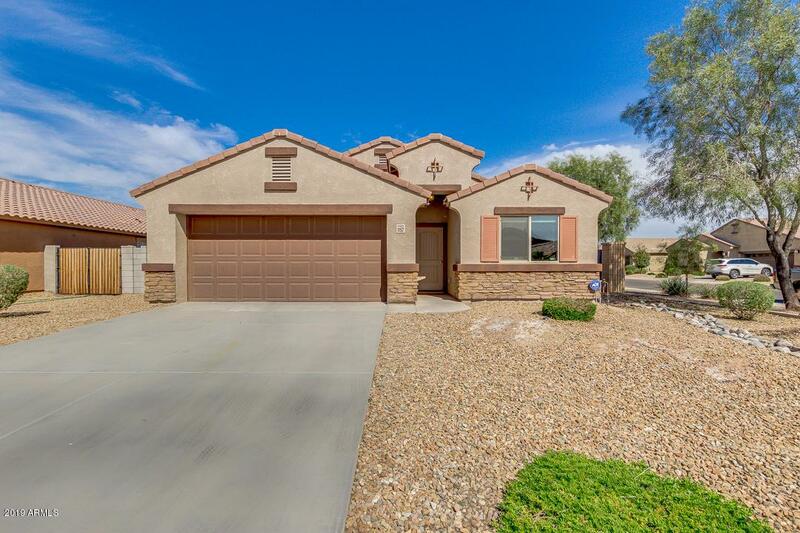 Impeccable 3 bedroom 2 bath room PLUS Den home in Cottonwood Ranch. 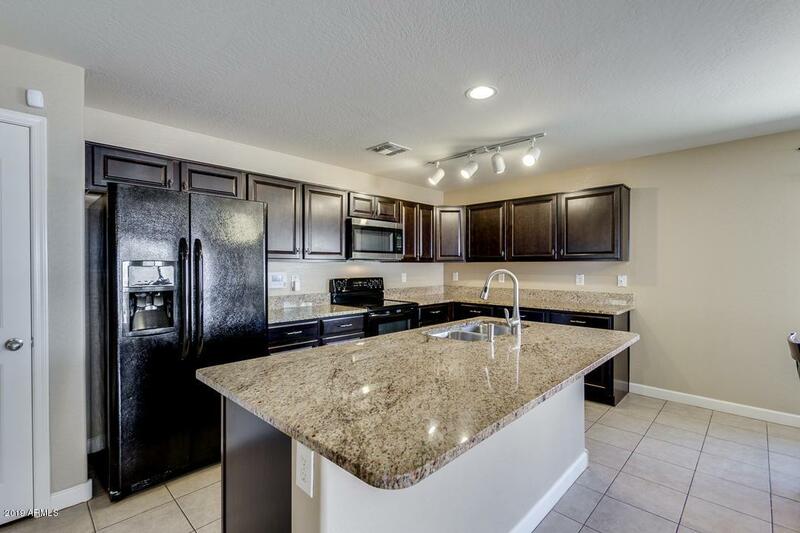 Built in 2015 this energy efficient home offers a inviting split floor plan with 2 generously sized secondary bedrooms a full bath and intimate den, that will lead you to a magnificent kitchen with expresso cabinets, granite counter tops, all appliance, pantry, kitchen island with bar all looking out to the great room, perfect for family time and entertaining. The master suite offers a walk in closet, dual sink floating vanity with under vanity lighting, sizable walk in closet and large shower with glass doors. 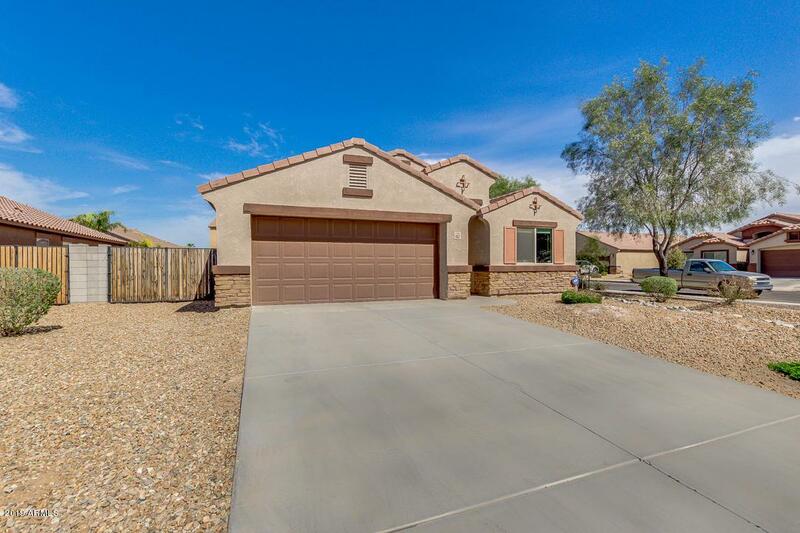 This home is situated perfectly on a corner lot offering ginormous back yard, RV gate, 2 car garage, taexx built-in pest control, block accents on entry and so much more. Hoa Name City Property Mg. 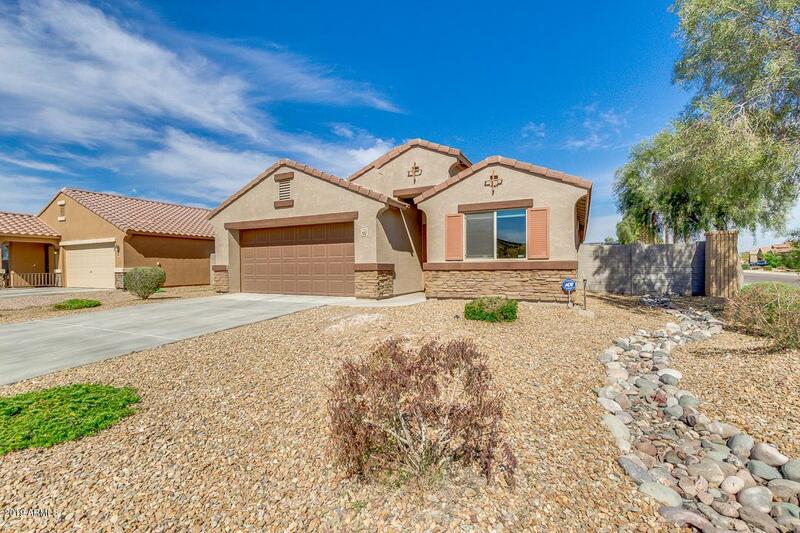 Listing courtesy of Realty Executives Arizona Home Pro's.